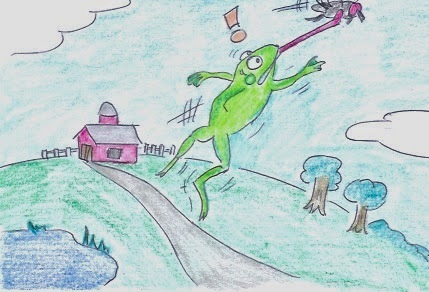 The frog survived the harrowing experience only after the fly dropped him off at an intercity playground, where firecrackers were shoved down his throat and set off. The fly had been planning just this revenge after this very frog had eaten his fiance 12 hours previously. Of course with a lifespan of only 36 hours, this had provided ample time for the fly to plan out and execute his devious scheme.